British rock legends Saxon will go ahead with their 3 exclusive club shows in the UK in February, as they don’t want to disappoint their British fans. Support will be Stormzone from Ireland for Northampton and Buckley shows. 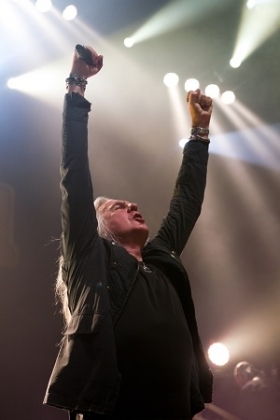 Seminal NWOBM outfit Saxon will head to Northampton, Preston and Buckley to revisit venues where they last entertained audiences back in 1979 and 1980, in a memorable comeback which will see them perform tracks from their latest album ‘Sacrifice’ next to a selection of classics. A tribute to the band’s loyal fan base, Saxon’s return to their roots promises to be a special treat not to be missed. Some footage from the events will be used for an upcoming documentary, which also includes filming from July 13 shows at Holmfirth Picturedome and the Steelhouse Festival. Tickets for the Saxon UK headlining shows are £22.50 (subject to booking fee). VIP tickets for the Preston show are valid, you have to buy a venue ticket as well if you don’t have one.